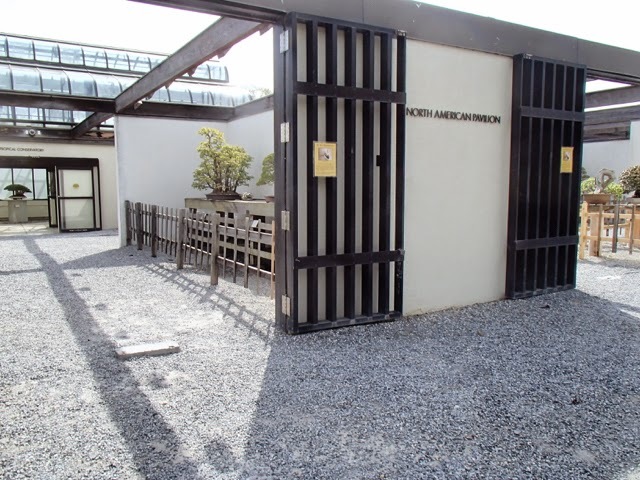 The National Bonsai & Penjing Museum is one of the main reasons we visited the National Arboretum and what Mik was most interested in. 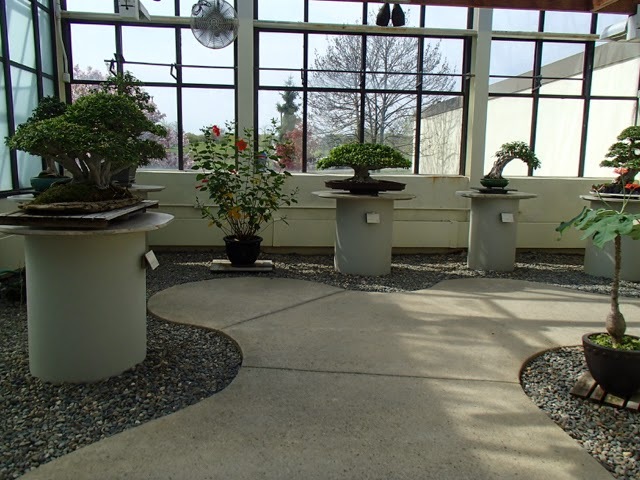 He really enjoyed seeing the different varieties and styles of bonsai. 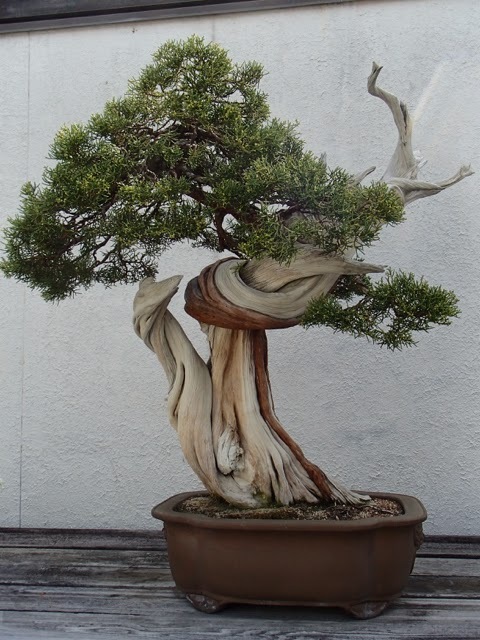 I think he still wants to grow his own, but he's already hoping to revisit these next month for World Bonsai Day. Currently, the Japanese Pavilion is being renovated, but those bonsais are currently in the courtyard so they can still be enjoyed. 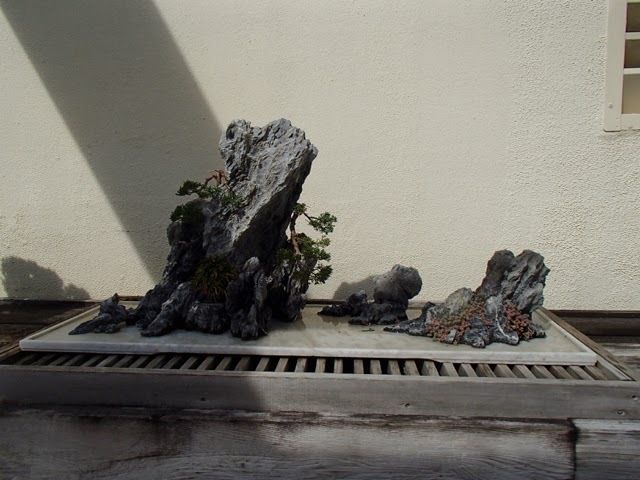 The Chinese Pavilion was interesting in that they incorporate rocks and small statues in many of them. 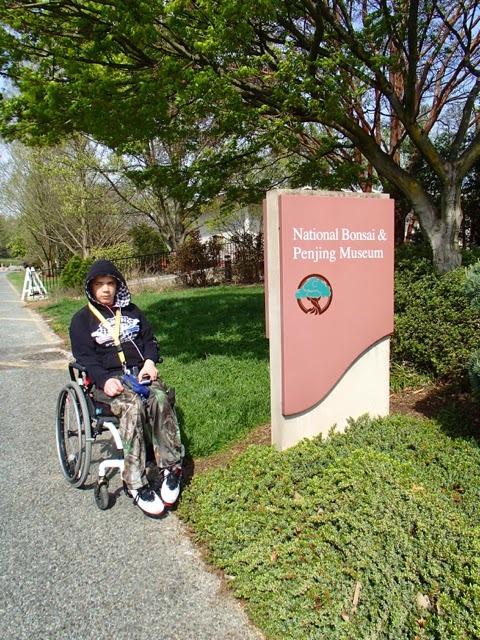 There is also a small garden path in the middle, although Mik didn't enjoy walking through that because the wheelchair barely fit on the path and there were plants that rubbed against him. 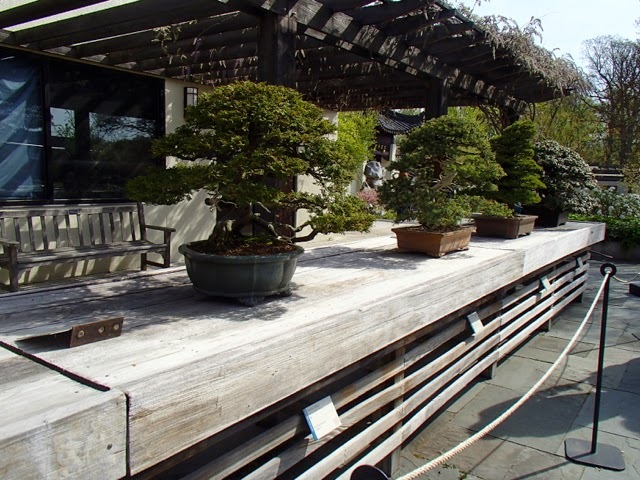 The North American Pavilion was the least accessible as the paths were gravel, which was quite thick in parts, but it did have Mik's favorite bonsais. He particularly liked the California Junipers. The Tropical Conservatory is also very accessible except for the fact you have to go through the North American Pavilion to get to it.